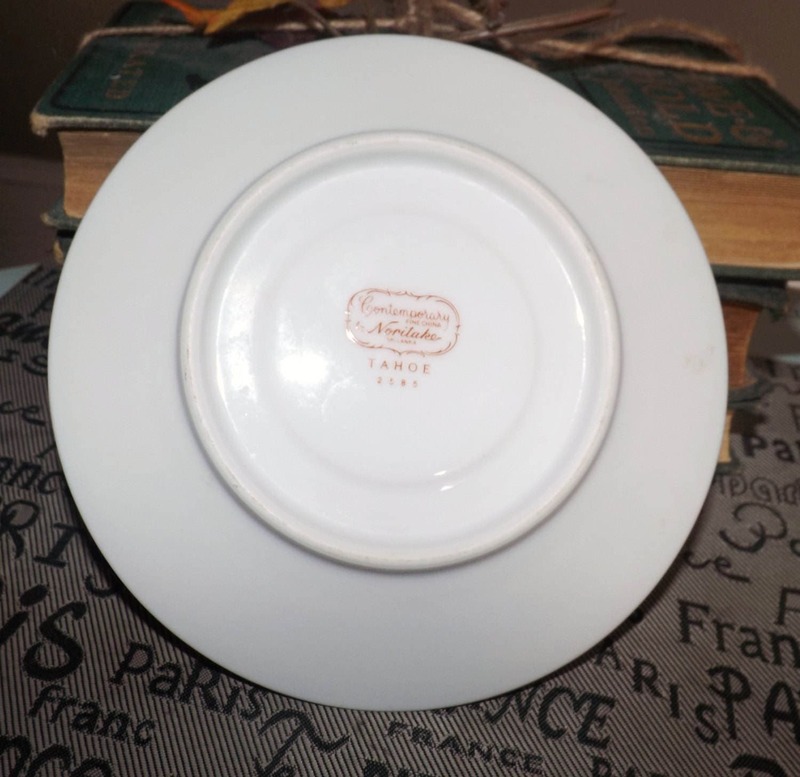 Vintage (1970s) Noritake Tahoe pattern 2585 orphan saucer only (no cup). Embossed white-lace band, platinum edge and accents. 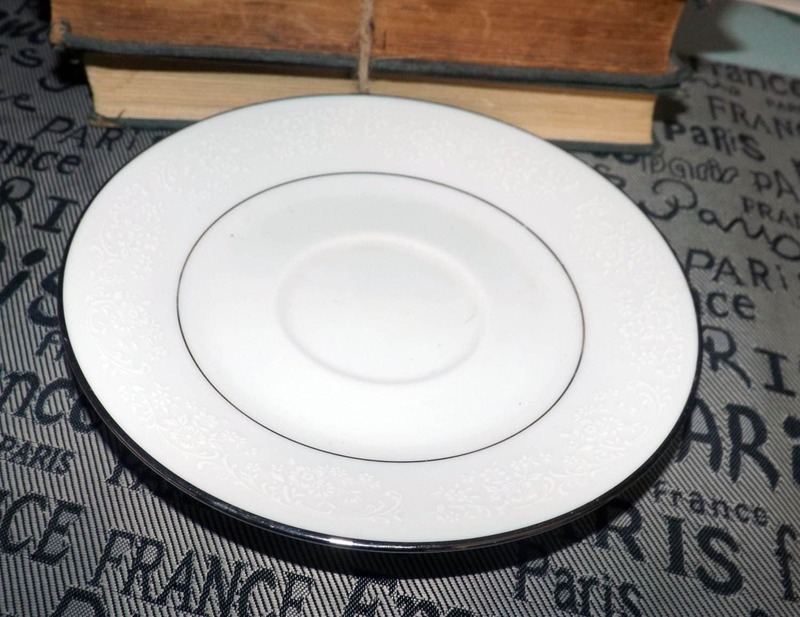 Vintage (1970s) Noritake Tahoe pattern 2585 orphan saucer only (NO cup_ in the Commander shape. Made in Japan, Tahoe 2585 is an elegant pattern featuring a gently embossed white-lace floral verge and a smooth platinum edge, inner band and accents. 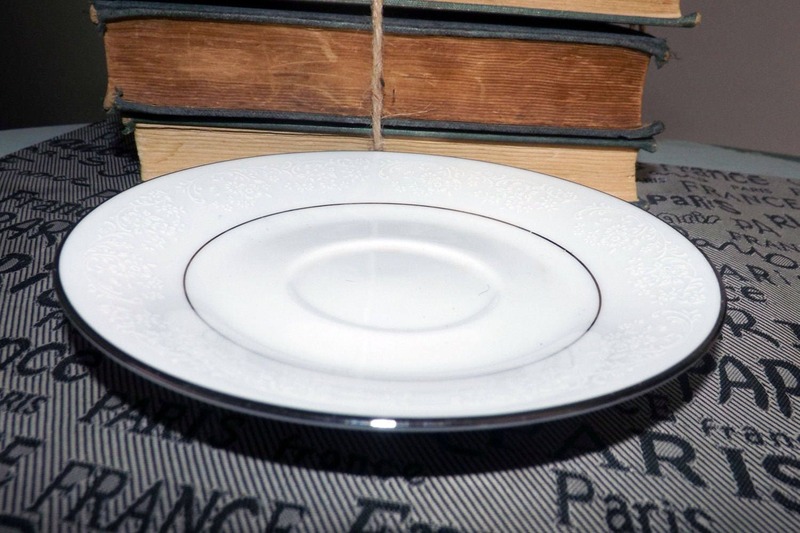 Tahoe is part of Noritake's Contemporary Line of china. In EXCELLENT! condition with NO! chips, nicks, cracks, or fleabites, NO! crazing AND LITTLE TO NO! loss to the platinum edge, band or accents. There is one VERY WEE INDEED spot of natural peppering (black dots that appear during kiln firing from carbon deposits present in the soil) as seen in photo 3 at the red arrow, to draw your attention. Otherwise, the saucer has NO! marks, stains, scratches or other signs of use or wear. Approximate measurements: 6" in diameter (measured edge to edge) with a smooth, platinum edge.